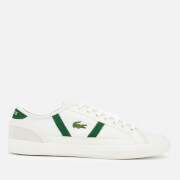 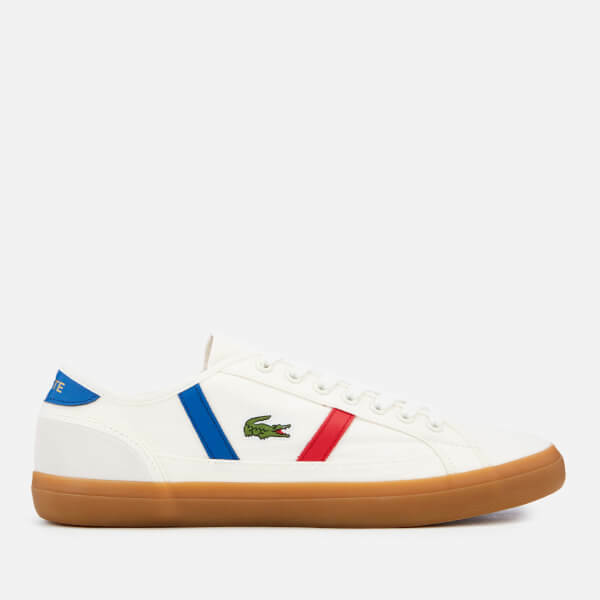 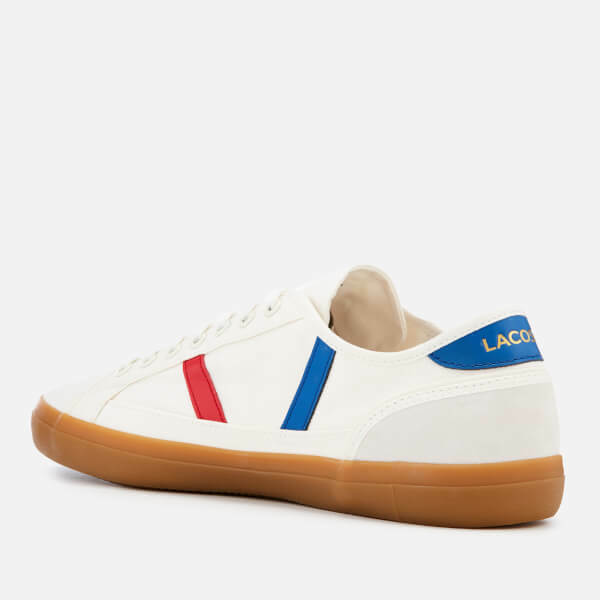 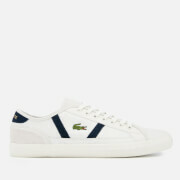 Styled with sporty red and blue stripes, the white ‘Sideline’ trainers from Lacoste are crafted in lightweight cotton canvas with leather and suede overlays. 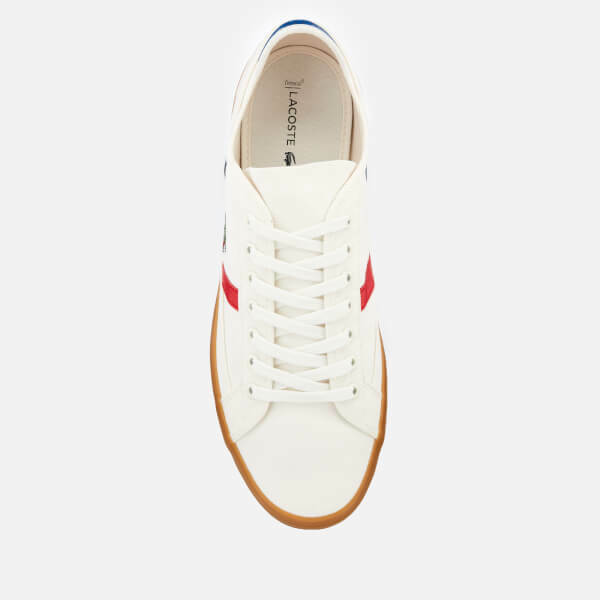 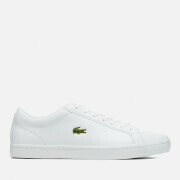 The low-top sneakers fasten with tonal laces and are set upon a gum sole for maximum grip and stability. 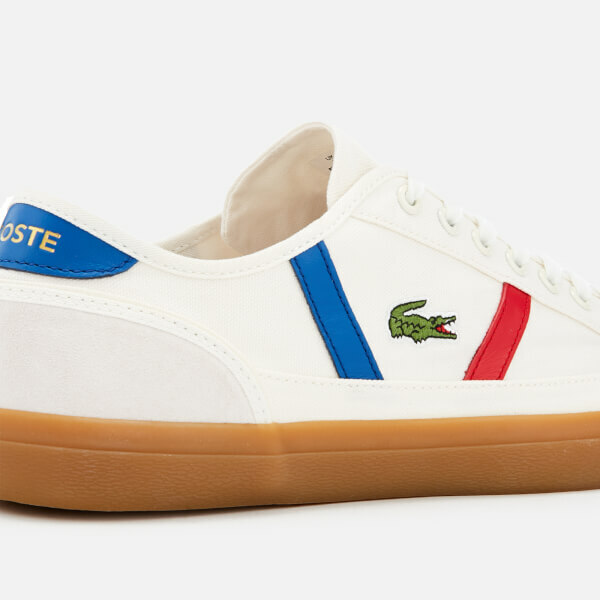 Embroidered crocodile branding adds the finishing touch.